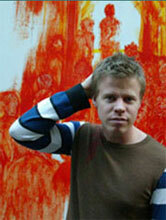 Other projects of Ferry Corsten are: " I'm In Love" by Starparty (produced together with Robert Smit), "Carte Blanche" by Veracocha (produced together with Vincent de Moor) and in May 1999 the title "Gouryella" by the act Gouryella was released, an Artist-project Ferry produces together with the famous Dutch DJ Ti‘sto. The first single "Gouryella" entered the U.K. Singles Top 75 at #15 and achieved various hit positions throughout the world. The follow up single of "Gouryella", entitled "Walhalla" entered the UK single chart at #27 and was successfully released world-wide aswell. In September 2000 the 3rd Gouryella single entitled "Tenshi" was released world-wide. Ferry also remixed William Orbit's "Adagio for Strings" as well as "New Yearsday" for U2.